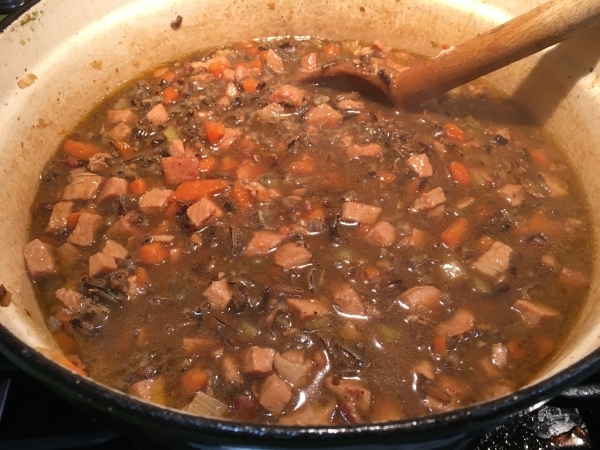 I prepared this soup earlier in March, but thought since it’s going to get cold again at the end of the week, this might be a consideration for your dinner table. 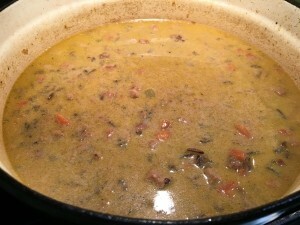 I had a couple of large, leftover boneless pork chops on hand and decided to make a pork version of my wild rice soup! 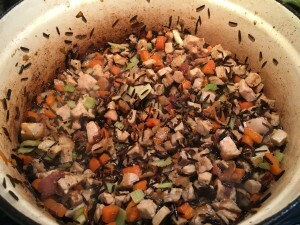 We’re forever trying to incorporate better choices into our diet and wild rice is a great option! 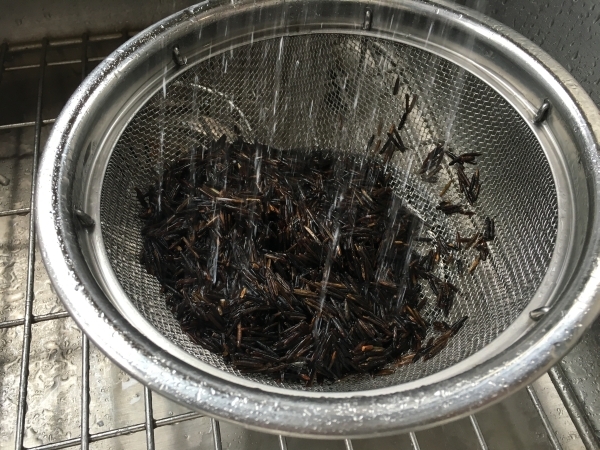 I’ve mentioned this before, but despite its name, wild rice is not rice at all but are the seeds of edible grasses native to North America. 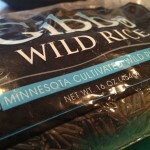 It’s easy to find Minnesota Wild rice in the grocery stores. Native Americans harvested wild rice in canoes, using long sticks to knock the seeds into the bottom of their boats. This grain is not only delicious but has some impressive health benefits. Did you know that a one-cup serving of wild rice contains 50 fewer calories and almost 10 fewer grams of carbohydrate than a cup of brown rice? It also provides more protein, zinc, and potassium than both brown and white rice varieties and is significantly higher in folate (Folic acid plays an important role in the production of red blood cells) and most of the other B vitamins. It is very rich in antioxidants – containing up to 30 times more than white rice, which means regular consumption of wild rice protects you from disease and aging. 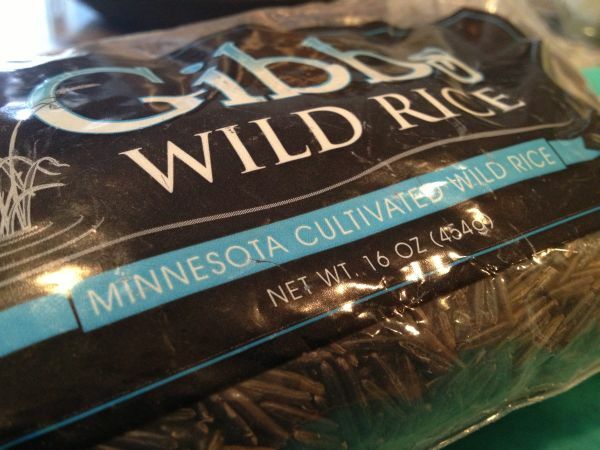 Because of its high fiber content, wild rice keeps your digestion smooth and helps lower cholesterol. 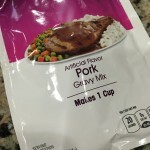 I suggest cooking a batch and storing it in the refrigerator to use and add it to dishes throughout the week. 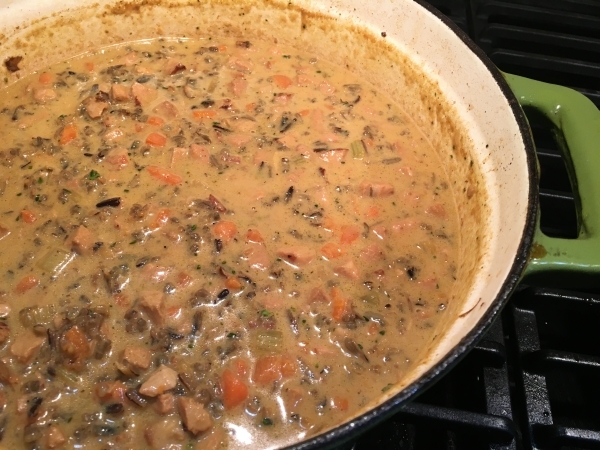 Toss it with lentils or beans, stir into casseroles. I love it as a cold salad or in soup!! 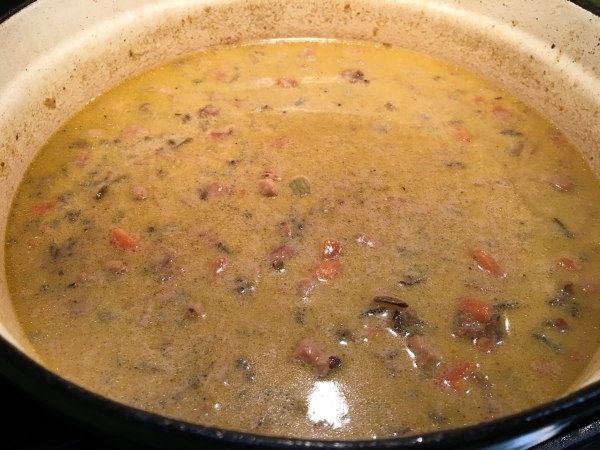 The curry makes this soup very unique and oh, so good! 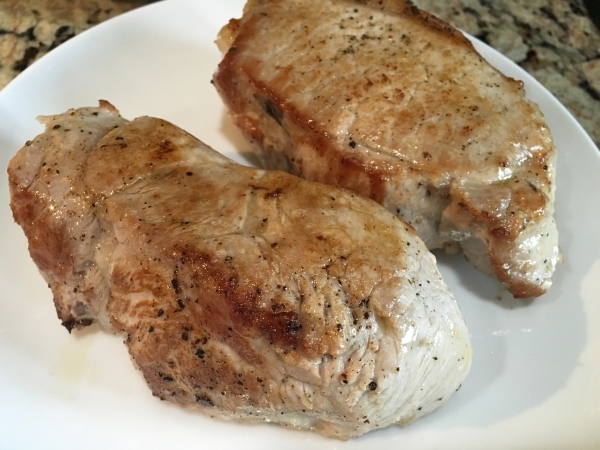 Cook Pork chops and allow them to rest before chopping them into bite-size chunks. 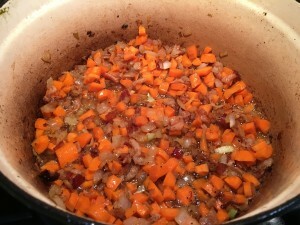 Clean, peel, and chop vegetables into small dime sized or smaller pieces. 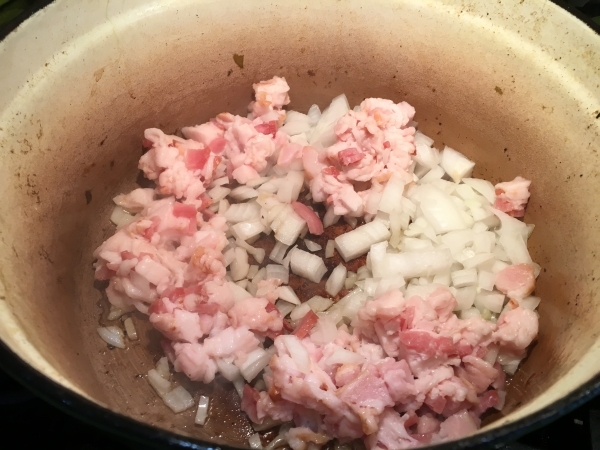 Cook the bacon and onions together until the onions are translucent and the bacon is browned. Add the chopped carrots and continue to saute over medium heat until they begin to soften, stirring occasionally about five minutes. 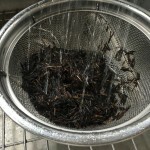 Rinse wild rice under cold water and allow to sit in the colander so that excess water is removed. 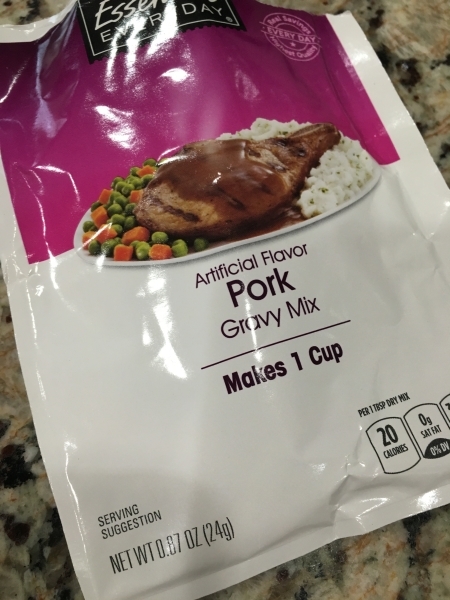 Stir in the stock and gravy mix well. Add the pork and cover. Stir frequently allowing rice to cook at least an hour until the rice is curled and cooked through. 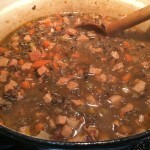 Taste the soup and add the bouillion base to taste for more flavor. Stir in the half and half and allow to simmer over low heat stirring, occasionally until thick.